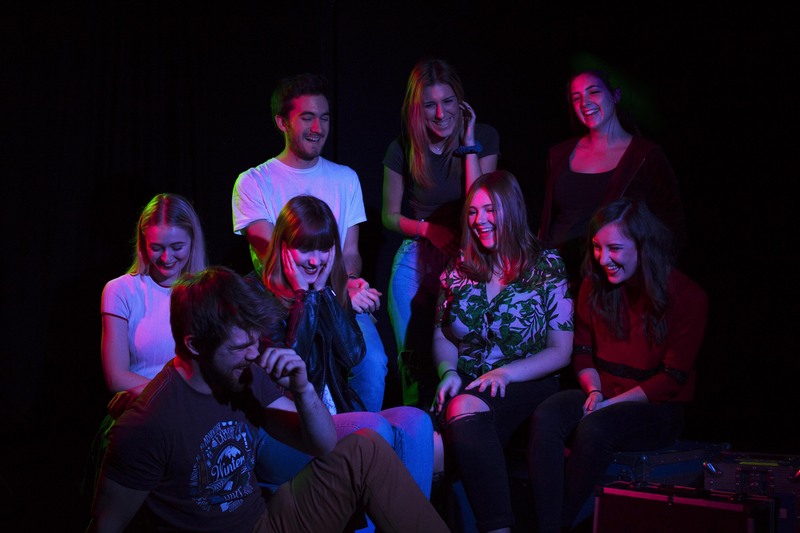 ‘The Neighbourhood’ is an ambitious student short film project, created in the heart of the Film and Television Department at the University of York. The film revolves around a young girl, Safia, who has just moved into a new town. This new world looks and feels like perfection, but a strange horror lingers below the surface. The women are beautiful, the men tall and handsome, but behind their smiles and stares something awful is lurking. Safia must make a choice: will she run away from the truth? Or will she find out what The Neighbourhood is really hiding? ‘The Neighbourhood’ is a project that is being led by a group of eight extremely enthusiastic crew members that have worked on dozens of film projects over the last few years. As a group, we are all devoted to bringing our passions, talents and creativity together, in order to bring to life the character of Safia, and her journey to The Neighbourhood. The world we want to create has to look perfect, but perfection comes at a cost. This is where we need you help! Our fundraising target is £2000 and every penny will be used to best serve our incredible story and give justice to Safia - be that through securing amazing locations, to getting fantastic actors for our lead roles. Not to forget the supply of biscuits to keep our cast and crew as happy as possible! Below is the budget for our film. Be part of the team and follow our journey as we battle through the elements of pre-production, filming and post-production. Follow us on all our social media platforms where we will be posting some incredibly exciting sneak peaks of ‘The Neighbourhood’ and regular updates on our progress. We understand that not everyone can donate but you can still help by sharing our story! By spreading the word about our project, we can share our excitement and enthusiasm with a wider network of people and hopefully bring 'The Neighbourhood' to life! This is an important film, with an important message. We aim to share this film into film festivals around the world and raise questions about race, gender and identity. Thank you for donating! You will receive an exclusive shout out on our Facebook and Twitter pages! Thank you for donating! For your generosity you will receive a digital copy of our incredible poster - designed by Lija Jursins - & all of the above. Thank you for donating! You will receive a digital download of 'The Neighbourhood' Original Soundtrack & all of the above. Thank you for donating! For your donation you will receive a special contributor credit at the end of the film & all of the above. Thank you for donating! For your incredible donation of £100, you will receive an invitation to the private screening of 'The Neighbourhood' in our incredible cinema at the University of York (travel and accommodation expenses not covered) & all of the above. For your extremely generous donation, you will receive THE Rainsford sign used within the film & all of the above!